Shaun and Ben were recently in Croydon to create and install some shutters for a bathroom. There were two windows either side of the bathroom area which needed to be covered. 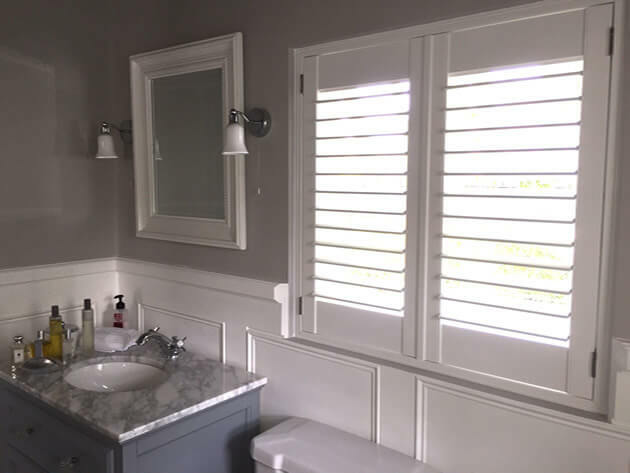 Shutters are the perfect solutions for bathrooms as privacy can be adjusted perfectly depending on the privacy and light levels you require at any time of the day or night. We used water resistant shutters taken from our Java Range. 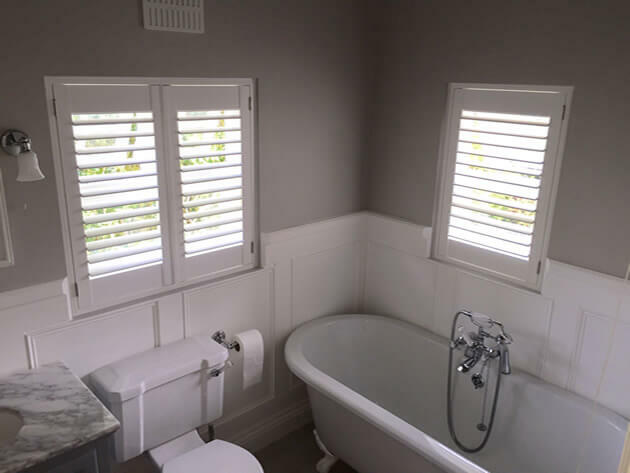 These shutters have a PVC water resistant coating which stops them from warping and taking in moisture, which is to be expected from bathrooms and other areas where they will regularly come into contact with water. 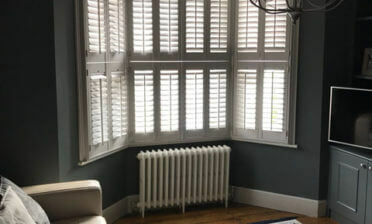 Both shutters are full height style with 76mm louvres and hidden tilt rod system which allows for adjustment through the touch of a single louvre. In turn this will operate the other louvres at the same level. 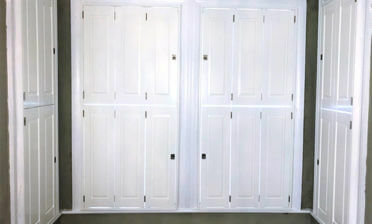 As these shutters are made from PVC there is no worrying about touching with wet hands. 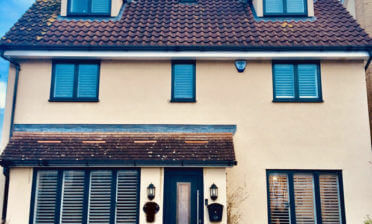 They were finished in Pure White with Stainless steel hinges which come as standard with our Java Range of shutters. They compliment the rest of the bathroom perfectly and really help to achieve the clients desired look and functionality!